* You can also add anything else you’d like, such as jalapeño, sweet potato cubes, olives, mushrooms or anything else you would normally put in a mexican dish. I also like to make salsa and cheese to go with this recipe. Sometimes I even put the cheese in them before I bake them. You can find those recipes in my Haystack post. Also, if you are not a tofu fan, it can easily be subbed for mushrooms, more black beans, red beans or sweet potatoes. Add all ingredients except for the cornstarch slurry into a medium sauce pan. Place on low heat, let cook for 20 minutes, covered. Stir occasionally. After 20 minutes, add cornstarch slurry and stir until the sauce has thickened. Turn off heat and set aside. In a large skillet or pot, add 1 tbsp oil and bring to medium- low heat. Add in the chopped onion and cook for about 5 minutes, stirring often, until translucent. Add in garlic and reduce heat to low and cook for a couple more minutes. Now add the chopped pepper, tofu, drained black beans, and chopped spinach. Cook for about 5-7 more minutes on medium-low heat. Take off the heat, empty into a large bowl and add your seasonings and picante sauce, and stir well. 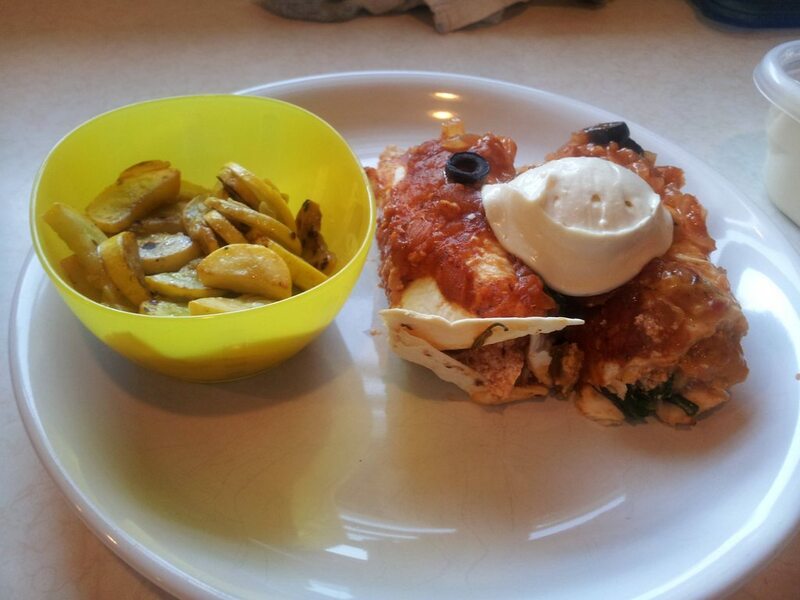 Fill each tortilla with about 1/4 to 1/2 cup of filling, roll them up and place in a large casserole dish. 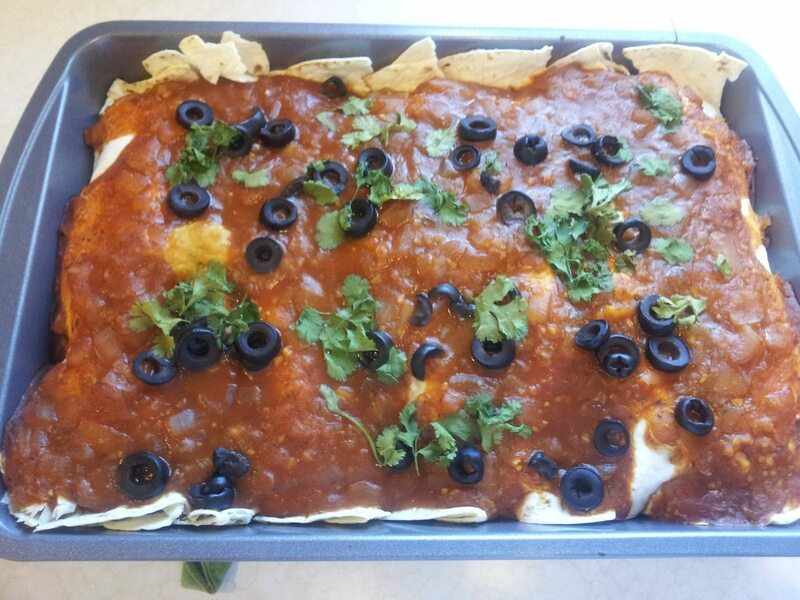 When you have all the enchiladas in the dish, pour the enchilada sauce over the top and bake for 25 minutes. Serve with chips and salsa, rice or a vegetable side.